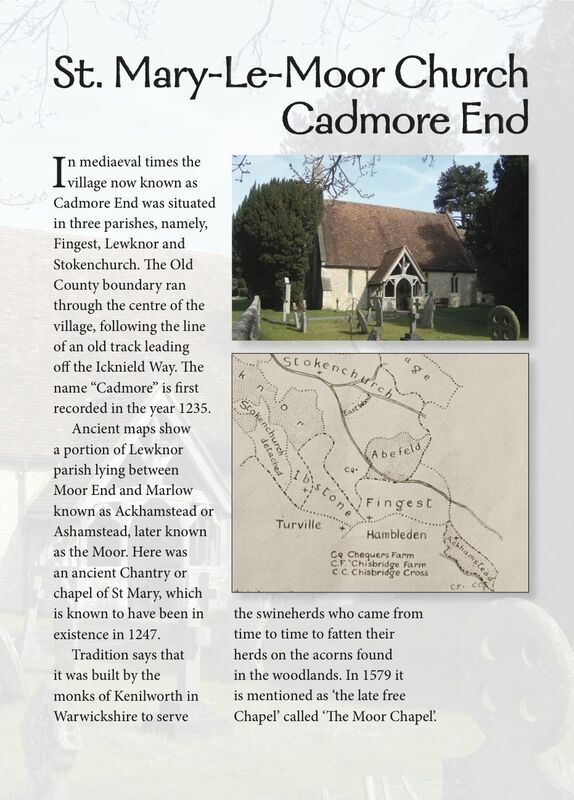 The Guide Book outlining the history of Cadmore End church if available on request. The image on the right shows a extract from the booklet. If you would like a copy of the booklet please ask at a services or fill in the form below.